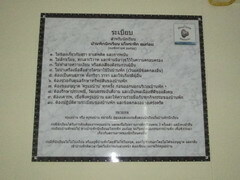 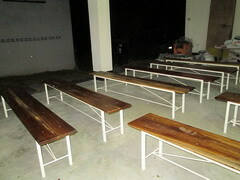 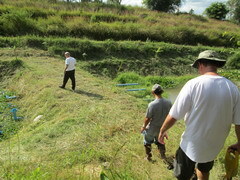 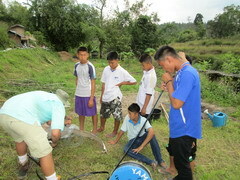 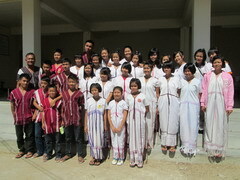 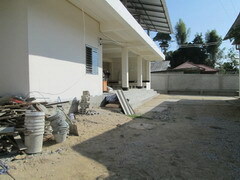 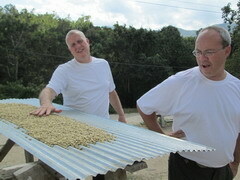 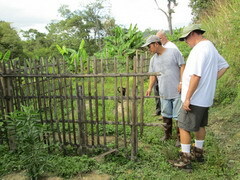 Mr. Will recognized that his church’s project was successful, so he hopes that our project will have the same results. 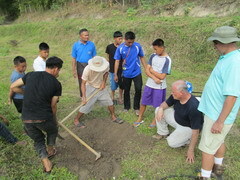 So Mr. Will asked Mr. Jeff to come to Thailand and to prepare a plan for us how to plant fruit and vegetables in our Food Project. 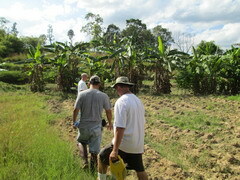 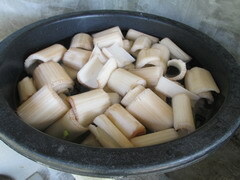 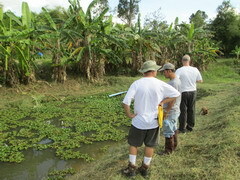 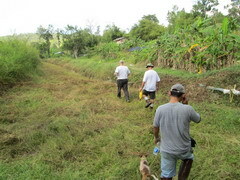 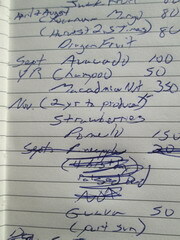 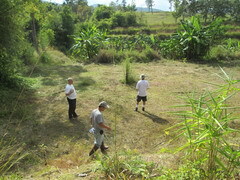 If we can follow Mr. Jeff’s project, we will be able to have many tons of fruit and vegetables each year. 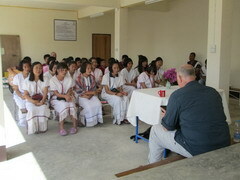 NawPo and PiSi, our hostel parents, teach Christmas songs to the children. 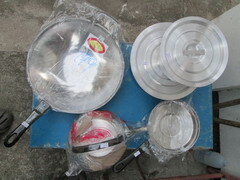 It is the time for the Food Project land to have somebody to take responsibility, so I bought utensils to be prepared for the results of growing fruit and vegetables. 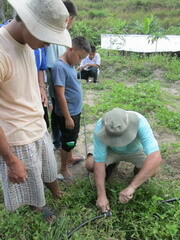 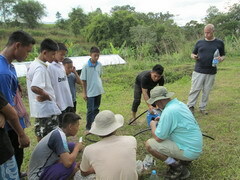 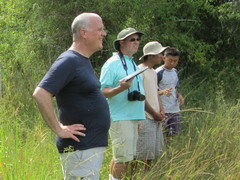 Mr. Jeff brought along a retractable measuring tape with him to measure the area of our Food Project land, and to make a plan on how to plant the fruit trees and how many trees to plant; This will also allow Mr. Jeff to estimate how much output the Food Project can produce a year. 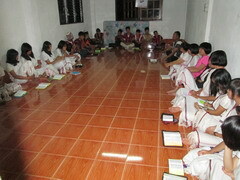 During this time Aunt Kara volunteered to be our hostel mom at Omkoi Hostel. 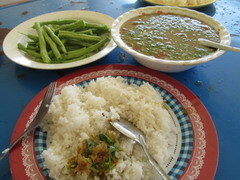 She also prepared delicious food for us for every meal. 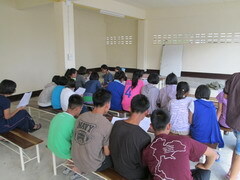 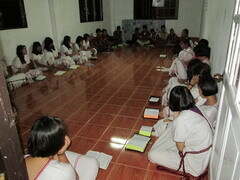 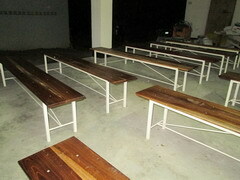 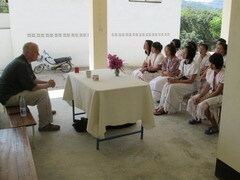 Today is Sunday, and we held our Sunday service at the Coffee Hostel as usual. 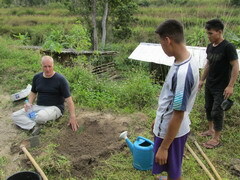 Every time Mr. Will visits us, he reminds us with to teach our children about soil types where the seed can germinate, grow and bear fruit (Matthew 13:23). 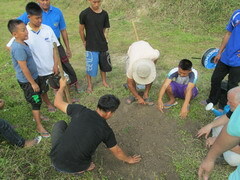 Although the seed (or teaching) is very good, if the soil (or students) do not assist in preparing the farm, it will be covered with weeds, and will make it difficult for the seed to grow and bear fruit. 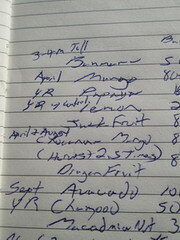 The teaching in the Bible has the best advice for everything – even growing produce. 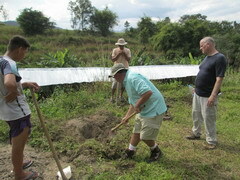 The hostel children made these vegetable beds. 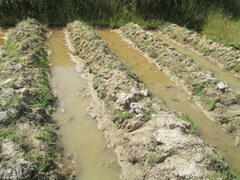 The low parts trap the water and the high parts appear dry. 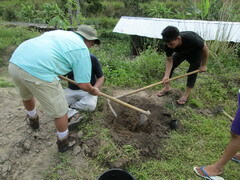 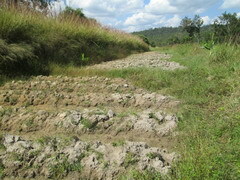 We have to prepare the soil this way to be suitable for cultivation. 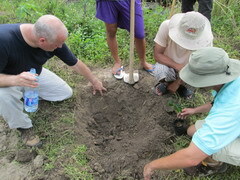 Mr. Jeff teaches us how to prepare the hole for planting trees. 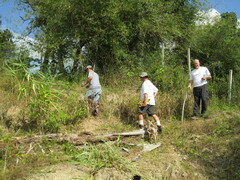 Weeds are one factor that deprives a plant of nourishment, so the area around the tree should not have any weeds. 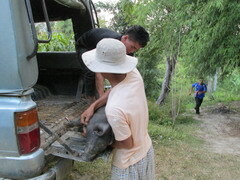 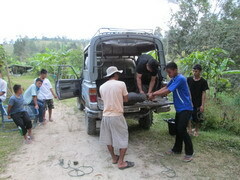 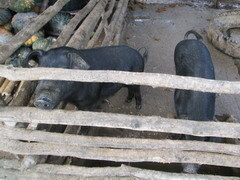 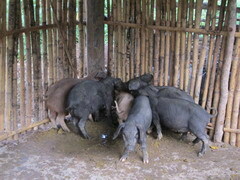 On this trip we bought 6 more pigs for the Food Project. 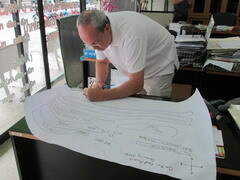 The list of fruit trees that Jeff checked from an expert in Chiang Mai, and the map of Food Project (drawn on poster paper), outlining where the fruit trees will be planted. 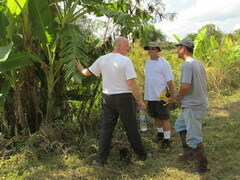 Thanks to Mr. Will Flora for bringing us a professional like Mr. Jeff to Omkoi, where he enabled us to plan how to grow fruit trees for the Food Project land in Omkoi using every square inch of land. 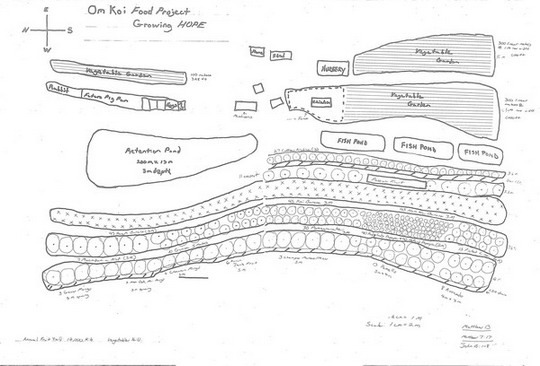 This the plan for planting fruit trees that Mr. Jeff Meyers designed for us.